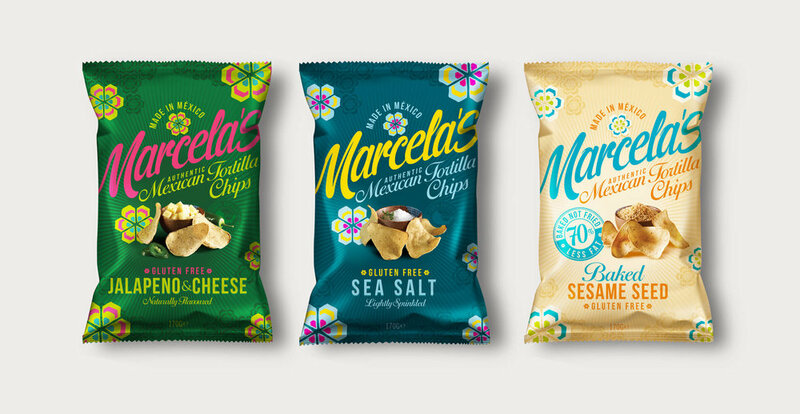 The client, Marcela, was keen to inject a little Mexican spirit into her tortilla chips brand. The key was to ensure our designs clearly communicated the authenticity of her product so she could attract real foodies. The streets of Mexico are ablaze with striking graffiti that draws inspiration from native imagery, pop culture and futuristic designs. We took some of these influences and crafted a design centred on the Mexican peyote flower. "LOOK FORWARD TO THE LAUNCH... EXICTING AND SCARY!!! THANKS AGAIN FOR ALL YOUR SUPPORT DURING MY VERY ROCKY JOURNEY, I HAVE REALLY APPRECIATED IT :)"